Excell has partnered with Starleaf to offer you a cloud-based video conferencing service and collaboration tools that create real value for your business. Whether it’s one-to-one video calls, large video conferences, or chats between teams, Starleaf’s solutions are designed to enhance productivity and provide seamless collaboration. Remove barriers to communication and hold video conferences that anyone can join, from anywhere, on any device. Starleaf’s cloud-based technology offers unparalleled interoperability with other video calling services so your organisation can connect with the widest possible audience. We can help you to get more out of important video meetings or remote training sessions. Encore allows you to record all the audio, video, and screen-sharing in high definition. Then it can be downloaded or shared so you can review it again, send it to non-attendees, or post it for wider review and archiving. Help your employees to work more productively and collaborate more easily with a messaging app that lets teams and individuals quickly discuss projects and stay up to date no matter where they are. With one-to-one messaging, group chats, and the ability to escalate any chat to a video call, it’s all about effective communication. Get even more out of your existing investment with Excell’s range of solutions designed specifically for Skype for Business. 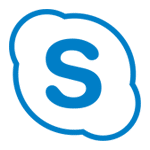 Extend Skype for Business into meeting rooms, conference suites, and huddle spaces; and gain the ability for clients and partners on any standards-based video device to join your Skype for Business meetings.